Review: Melody's Echo Chamber, 'Melody's Echo Chamber' The self-titled debut album by Paris-based musician Melody Prochet nods to many traditions (glam, hard rock, psychedelic rock, folk) without ever adhering to one. 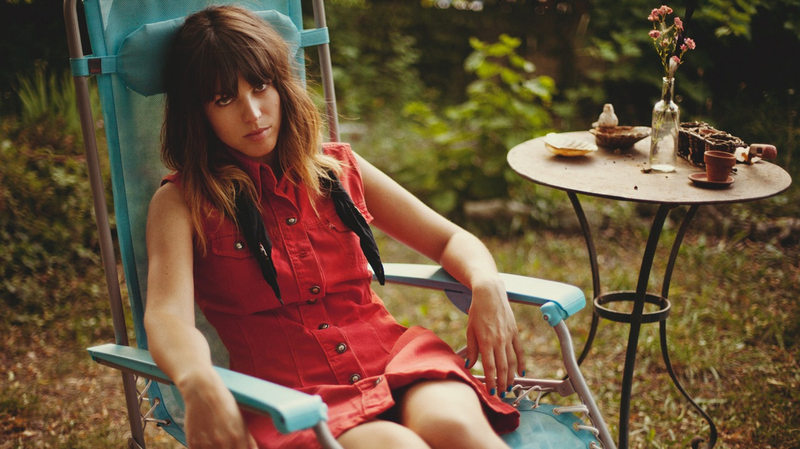 Melody's Echo Chamber's self-titled debut album comes out Sept. 25. Melody's Echo Chamber, the self-titled debut album by Paris-based musician Melody Prochet, is a retro-sounding record that nods to many traditions (glam, hard rock, psychedelic rock, folk) without ever adhering to one. The album's opening song, "I Follow You," sounds like Best Coast, if you transplanted Bethany Cosentino's sunny California beach anthems to a cloudy day on the Brittany coast. "You Won't Be Missing That Part of Me" and "Mount Hopeless" wobble into line behind Broadcast and Can — the rhythms on Melody's Echo Chamber split time between rock and jazz — but the album recalls psychedelia-inflected rock the same way so much of chillwave is based on dance music. The elements are all there, but they're muddier, moodier and meant to trigger the feeling or the memory of the thing rather than incite the thing itself. Listening to Melody's Echo Chamber is like plugging into the analog Matrix. "Some Time Alone, Alone" follows the album's basic formula: The instruments whip up a hazy atmosphere inside which Prochet's vocals suspend. The words are often hard to pick out. Prochet sings in English on some songs and in French on others, but there are times when you can easily lose track of which until a word or two peeks out from the reverb. In both "Snowcapped Andes Crash" and "Crystallized," she abandons vocals for extended periods that feature noisy but controlled experimentation. The melody and the atmosphere are the key ingredients; they keep the songs intriguing, but a little distant. The album sometimes has the effect of making you feel like you've happened upon a person in the middle of an intensely private moment, before you notice that they're posed perfectly to be caught. That sounds like a dig, but noticing doesn't make it less attractive. Music like this requires careful layering: Prochet recorded the album with Kevin Parker of Tame Impala, and his fondness for grooves with crunch around the edges rather than bounce makes him a good fit for her misty vocals. Besides, there are too many hooks in Prochet's songwriting for Melody's Echo Chamber to get predictable, even when she's combining familiar elements from rock's past. The CD itself features a yin-yang symbol combined with a smiley-face. You can read that as jumbled pastiche or a knowing joke — a symbol reflecting Prochet's willingness to tweak her musty but beloved relics. The 45 minutes of music on Melody's Echo Chamber suggests she knows what she's doing.